The most magical places to stay! 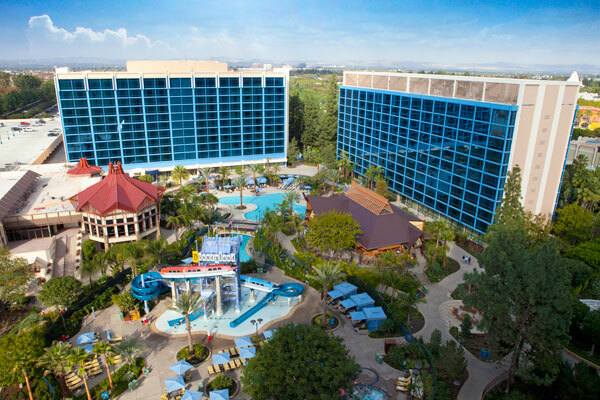 When you are visiting the Disneyland® Resort you can stay in the middle of the magic when you choose to stay at one of the three Disneyland® Resort Hotels— Disney’s Grand Californian HotelSM, Disney’s Paradise Pier SM Hotel or the Disneyland® Hotel. Each of the hotels are within walking distance to the Theme Parks and the Downtown Disney® district. Enjoy staying close enough to walk to the parks and return to your hotel room to swim, nap, or just relax. Guests staying at one of the Disneyland Resort Hotels also experience some exclusive benefits. Enjoy Extra Magic Hour – early entry to either Disneyland® Park or Disney California Adventure® Park – each day of your stay. You will also appreciate an exclusive entrance to Disney’s California Adventure Park. Take advantage of other benefits like package deliver, room charging privileges and even wake up calls from Disney characters. Guests at the Disneyland® Resort Hotels also experience the magic and service that only Disney Cast Members can deliver. Everything you’d expect from Disney…and more! Surround yourself with Disney magic 24-hours a day! Staying at a Disney Resort means being surrounded by magic 24 hours a day and also being close enough to return to your hotel for a snack, nap or dip in the pool. Disney Resort Guests will be allowed 30 minutes early entry than the published listed time through the gate at Disney’s Grand California Hotel® & Spa. This will allow hotel guests to get in line for Disney’s FASTPASS tickets to each evening’s performances of World of Color. Disney Resort Guests are within walking distance to and from the Theme Parks and Downtown Disney® District. Enjoy a night out and treat children ages 5 to 12 to an evening of arts and crafts, computer games, Disney films, dinner and snacks in a licensed child care facility with an environment created especially to entertain kids. To make a reservation, stop by Guest Services or call (714) 635-2300. Disney Cast Members are there to make your vacation as easy and worry-free as possible by offering helpful tips and recommendations. Don’t worry about carrying packages around all day. Instead, enjoy the convenience of having purchases from select Disney shops delivered right to your Disney Resort. Disney Resort Guests can take advantage of charging privileges available with your Disney Resort ID. You can charge select Disney purchases (i.e. meals, merchandise and tickets) to your room! Start your day off right with a special wake-up call from a Disney Character.